not to live, but to die. I am one of ten thousand widows here. to live again and suffer. it is my greatest desire. Ponds, all full of fish. Happiness is my other name. I must love you my God more than sin, more than secret lies, more than false relationships. Launch a probe into this mystery cloud of nebulous humanity that is me, neutralizing every signal of carnal energy emitting from the force of ego. Change my time-warped insides and make space for you. I open this dark lost ship to your search party. I’m sending out a beacon in this prayer, a homing signal to Abba, my God and friend.
. . . boarded, somewhere in the asteroid belt. The bus stopped near the train station in Warsaw, Poland. As I struggled to carry my toddler son and an umbrella stroller while navigating through the exiting crowd, someone behind me slipped my wallet from my pocket. My credit cards, license, cash– all gone. We went into the train station with only a US quarter to our name. I had to go to the restroom but had no money to use the sink to wash my hands. I was breathing in trust, breathing out hope. 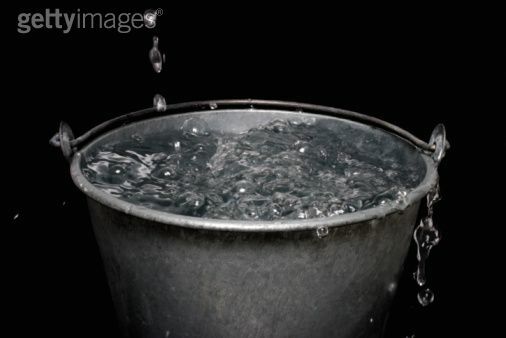 As I was leaving the bathroom I saw a metal bucket on the floor, catching drips from a leak in an overhead pipe. I stopped to stick my hands under the transparent living flow–falling in freeze-frames from heaven–and looked up just in time to see the Holy Spirit do that slo-mo swan-dive.